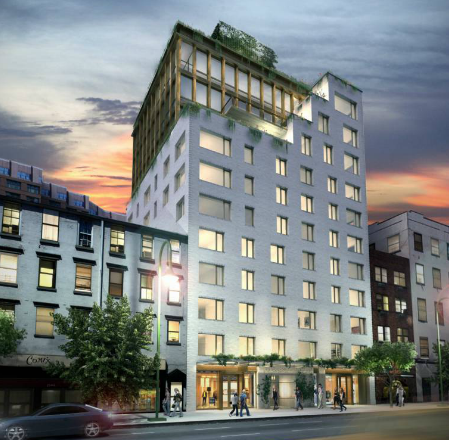 We already knew that DDG Partners could pull together a classy “product,” as they say in real estate parlance. But now the group has upped the ante by teaming with Yayoi Kusama, the 83-year-old Japanese show-stopping pop artist. Kusama’s blockbuster at the Whitney has already spilled over into cross-marketing at Louis Vuitton with her ubiquitous dots climbing up the facade of their 57th Street Store. 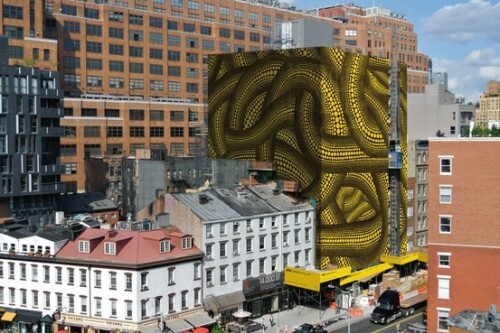 Downtown the artist’s Yellow Trees will sprawl across protective netting on construction scaffolding at DDGs 345meatpacking, the group’s new 14th Street project which could rival their comparatively quiet 41 Bond Street project. 345 promises to make a much splashier entrance, but with a hand laid Danish Kulumba brick facade, it could be Bond Street’s equal in craftsmanship. The public won’t see the results until September 30th, when the Kusama curtain will fall and the Kulumba will be revealed. 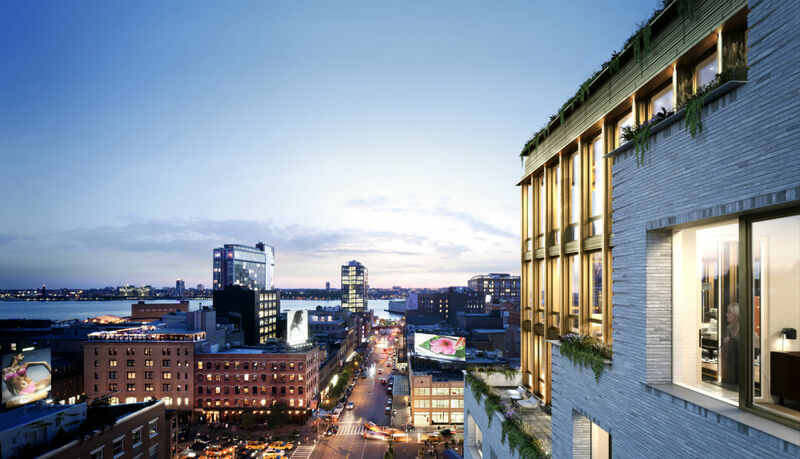 345meatpacking’s Kalumba brick facade will give way to steel at its apex. 345meatpacking views, with Kulumba in foreground.